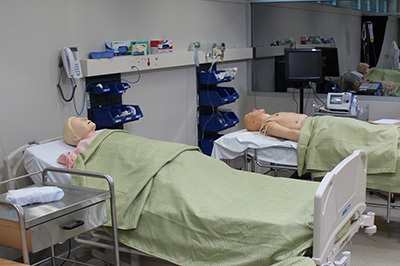 The UONDRH has very well equipped Clinical Skills Laboratories in both Tamworth and Taree. 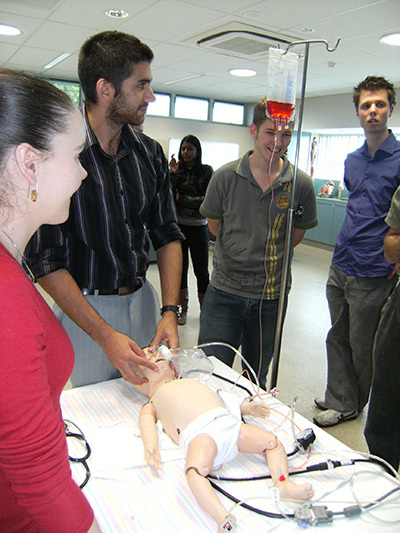 These state-of-the-art simulated learning environments are used to teach procedural and patient care skills to undergrad students and qualified health professionals from various disciplines. They provide the opportunity to practice the skills they will use on real patients but in the safety of a simulated health care setting. Simulation technology has been shown to positively impact patient safety and improve health care quality and outcomes. In light of this, the Clinical Skills Laboratories are equipped with computerised manikins, including Laerdal's SimMan 3G, SimMan Essential, SimJunior, SimBaby and SimNewB. These manikins can be setup to simulate real patient conditions. Students are taught to monitor physiological changes, and make decisions about appropriate interventions for various medical conditions and life-threatening emergencies. Participating in simulated emergencies will improve your decision-making skills and teamwork in the real world setting. 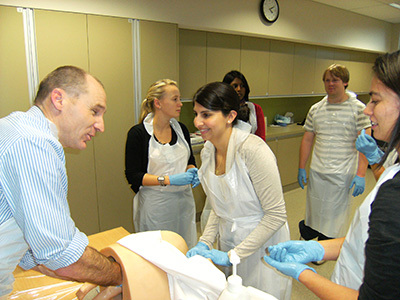 The laboratories are equipped to teach skills such as lumbar puncture, ultrasound, advanced airway management, obstetric and gynaecological procedures, plastering, intravenous cannulation, chest tube insertion and management. Both Tamworth and Taree have experienced staff teaching in this area that have extensive training in simulation, and skills in special effects make-up. In addition to the Clinical Skills Labs, students can also participate in week long camps and workshops that make use of simulation technology, for example Trauma Week and Women & Children's Health Camp. As well as having a bit of fun, the staff members take the simulation equipment into the field and, often with the help from some actors, challenge the students' knowledge, skills and decision making ability.